This often leads to me having to contact JAMF Support for a refresher. Well hopefully this post will remind me! The issue is that there is no my.cnf file in /etc/. Do you have a fix for this for Windows? 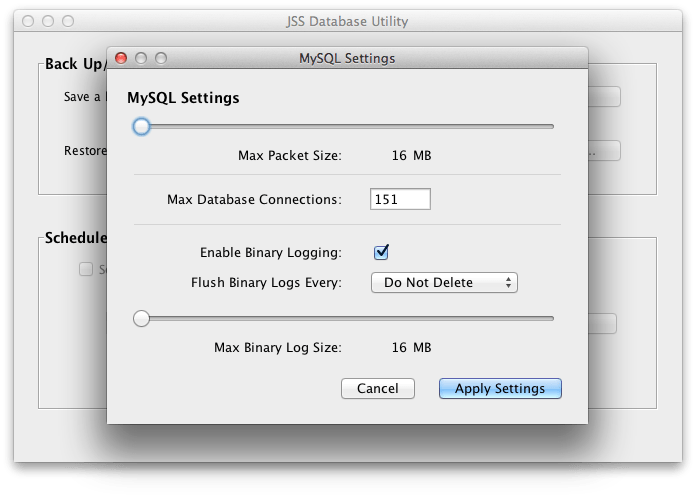 I ran into this after upgrading MySQL from 5.6 to 5.7 by uninstalling 5.6 and installing 5.7. However there were no such files in /usr/local/mysql/support-files. So I just took the my.cnf backup file I had saved and copied it to /etc and this problem was solved.